The Seville restaurant bar stool offers a highpoint of on-trend design, solid beechwood and thoughtful European craftsmanship courtesy of European furniture leader, TON CZ. The Seville solid beechwood barstool, here in a rich dark brown coffee finish, is replete with rounded edges, smooth surfaces and beautiful lines. This solid wood, coffee finished restaurant barstool offers exceptional contemporary design and solid construction that makes the Seville commercial barstool up for the wear and tear customers give them. At a height of 80 cm, this commercial barstool is sized appropriately height for most commercial uses like your wine bar, restaurant bar seating or even your counter height dining or a coffee bar. 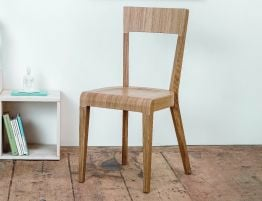 The up-to-date, rich, coffee finish is displayed here, however, the Seville restaurant wood barstool is also available in a variety of colour options like a whitewash finish, a walnut finish and a natural oak bar stool. 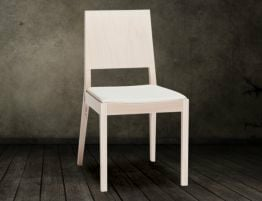 If you are about updating your worn-out or outdated barstools with new barstools for your café or restaurant the Spanish inspired Seville restaurant barstool might be just what you're looking for. Give your establishment an affordable update and raise the bar on bar seating, bistro, café or even your trendy wine bar with the impeccable modern design of these handsome, solid wood barstools. When the best of design, materials and workmanship come together, truly beautiful things like the Seville restaurant barstool result. The Seville commercial bar stools are of great choice for your restaurant makeover or new establishment. Great commercial interior design can be yours without spending every dime you have. You don't have to break the bank to update your restaurant’s interiors. At Relax House, our design team works hard to find the best commercial furniture pieces. We understand there our many considerations when purchasing commercial bar furniture. Yes, it must be beautiful and elevate the look and feel of your space–but it must also be sturdy enough to stand up to the wear and tear of regular use. It must also be affordable but balancing cost with quality. We selected the Seville solid wood restaurant barstool to be a part of our commercial dining furniture collection, in part because this backless wooden barstool looks so different from everything else offered. 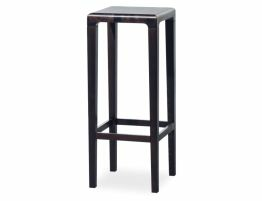 Bar stools or chairs built for the hospitality industry must be well constructed and the Seville restaurant barstool is. 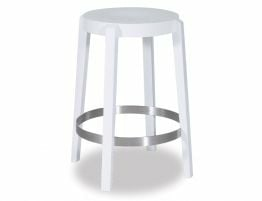 Likewise, this commercial wooden barstool offers solid wood construction at a price much lower than most solid wood commercial barstools.